Image classification, natural language processing and computerized axial tomography classification are some of the areas where neural networks are used. Neural networks are smart in their specific domains but lack generalization capabilities. Their intelligence needs adjustments. 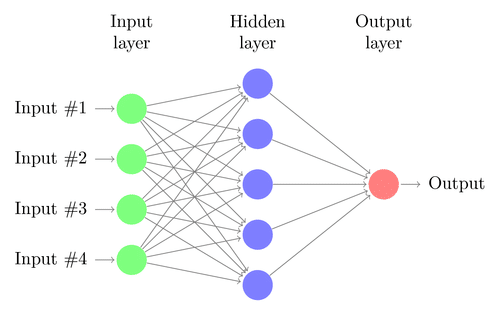 Neural nets are composed of neurons that take a single input parameter and manipulate it. You can think of a parameter as a pixel in an image which we want to classify. Then, we have synapses that connect neurons to other neurons. After the learning process, they gain weights, amplifying or decreasing output of neurons. A network of neurons and synapses connecting them for the network, which uses training data to adjust weights of its synapses. And the AI researchers adjust the shape and size of the neural net to fine tune it. This is the ultra high level view but you can already understand why there’s a dark side to neural nets. An image recognition neural network can include millions of hidden layers until the network reaches the solution that there’s a sunset in this image. There’s a very misunderstood dark side to this process because most of the time even that creators of the AI don’t know in detail what connections the neural networks make and what kind of neurons they create. It is easy to calculate the error from the output and adjust it but this doesn’t mean we know what goes on in the numerous layers of neural connections. So the dark side which is speculatively misinterpreted as the dark side in Star Wars movies. 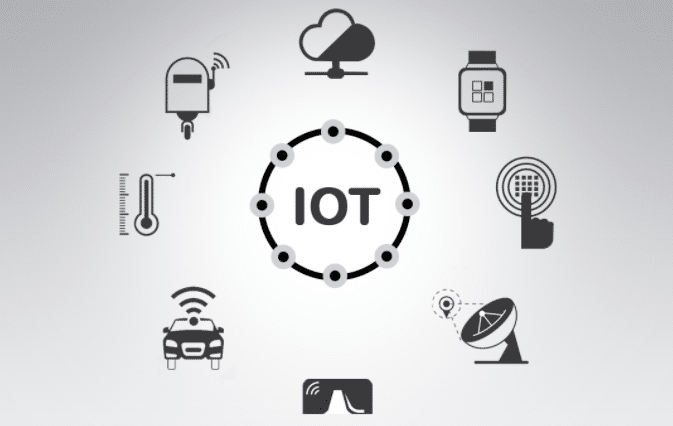 It just means there’s too much data and that it would take us a significant effort to see what’s happening. Still it can give goosebumps to some. 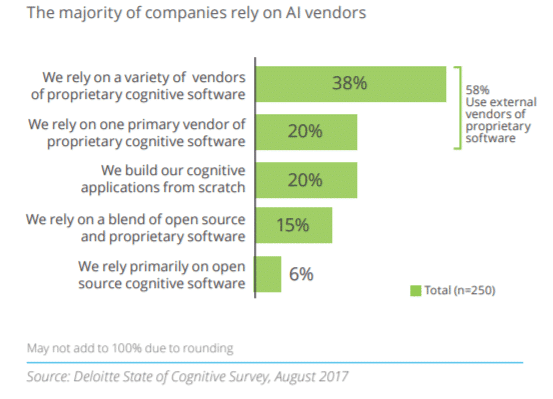 If AI developers have more idea about what’s going on it would be easier to develop more complex neural networks. One of the most known efforts to solve this puzzle is Google’s DeepDream. 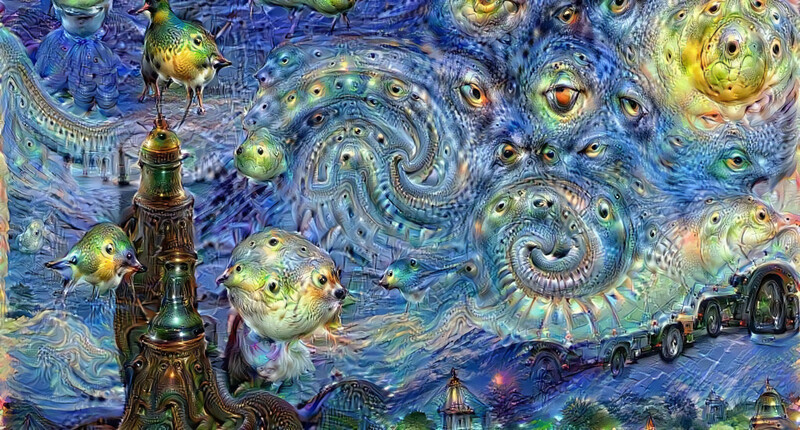 The DeepDream was developed for the ImageNet Large-Scale Visual Recognition Challenge (ILSVRC) in 2014. The software is designed to detect faces and other patterns in images, with the aim of automatically classifying images. However, once trained, the network can also be run in reverse, being asked to adjust the original image slightly so that a given output neuron. This can be used for visualizations to understand the emergent structure of the neural network better, and is the basis for the DeepDream concept. The optimization resembles backpropagation, however instead of adjusting the network weights, the weights are held fixed and the input is adjusted. Backpropagation is the process of adjusting the weights of neural connections. Even though there’s still room to grow for neural networks, they already are in our daily lives. Thanks to services like Google Translate, we benefit from neural networks even if we are not aware of it. Just like in our daily lives, AI is also ready to transform work. 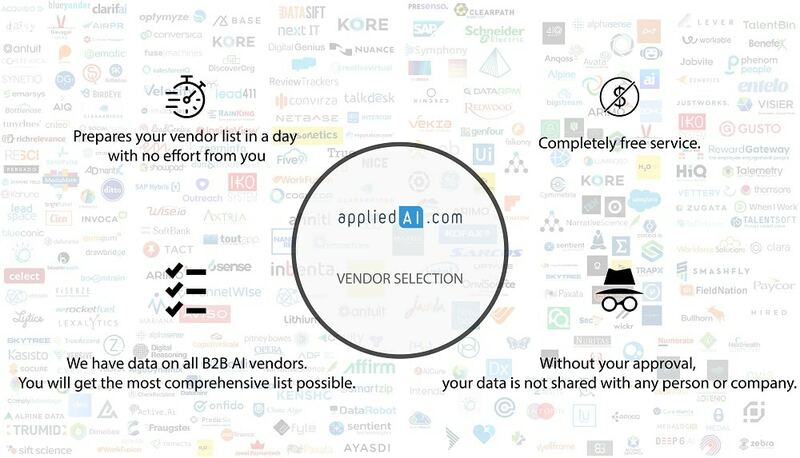 For applications of AI in enterprise, you can check out AI applications in marketing, sales, customer service, IT, data or analytics. If you are still curious, want to learn the math behind neural nets and want to explore a bit more of this dark area in an extremely simple example, here’s a more detailed explanation. Let’s assume that we have a neural network with a four pixel black&white camera and we want it to identify whether the images captured by the camera are solid, vertical, diagonal or horizontal. This can’t be done with simple rules about the brightness of the pixels. Their relation to other pixels are also in play. To tackle this complication, we create a neuron for every pixel and give them values between -1 (black) and 1 (white) which determine their brightness. When values of these input neurons are added, a new neuron is created. Neurons are connected with synapses like their counterpart in the human brain. While connecting with a new neuron, neural networks weight the value of the input neurons with a number between 1 and -1. In this case the output neuron’s value can’t be larger than 1 because we have a fixed spectrum. If the value of neural inputs are larger than 1, neural network squashes it with a sigmoid function so the output value stays between the fixed interval. White connections are positive and black ones are negative values and the thickness of the line shows the magnitude of the weight. Every neuron is weighted with 4 different values (but there could be 400 and 4 million) so we have 4 new neurons and these neurons are also connected and weighted. This creates a layer. This process continues after neural network gets a clear understanding of what’s in the image according to our set of output values which are solid, vertical, diagonal and horizontal. There could be 4 or 4,000 layers according what we want to get as an output. In the image below we can see a hypothetical case that how our neural network understood that the image is horizontal. Black dots and connections show negative values, white ones show positive as grey ones are zeroes. The reason that there are no gray lines is they are ignored because they have no effect on the output. But neural networks never give outputs which are true but only the closest to the true. For example an output neuron which has a positive value would never be the maximum value we set for our interval in the first place. This is a way of saying there would never be a certainty about the answer neural networks give but they are very good approximations. Clarifai.com’s image classification AI would be a great example of a lot more complex version of what is told above. As it is seen in the image below, instead of setting one of the outputs as horizontal it was set as sunset. And the output value of sunset is around 0.9 which tells us that there’s about 90% probability of a sunset shown in the picture.